Middle Eastern states are showing increased interest in Russian military hardware, the deputy head of Russia’s state arms exporter Rosoboronexport said Thursday. Many Middle Eastern countries have expressed increased interest in Russian military hardware, including armored vehicles and aircraft, at the Gulf Defence & Aerospace exhibition in Kuwait, the deputy head of Russia’s state arms exporter Rosoboronexport said Thursday. “At Gulf Defence & Aerospace, we are representing Russia’s military-industrial complex in all segments of the arms market. Significant interest is being expressed in Russian wheeled and tracked armored vehicles, combat helicopters and planes, military transport aircraft and combat training aircraft, different classes of air defense systems,” Sergey Goreslavsky, who heads the joint delegation of Rosoboronexport and Russia’s state hi-tech corporation Rostec at the event, said. The arms exporter is offering its “Complex Defense Systems” package around the world, the deputy director added. The package includes a wide range of products for urban security, counter-terrorism, facility protection, border protection and natural disaster cleanups, he explained. In November, the Dubai Airshow took place in the United Arab Emirates, where customers from the region showed interest in Russian air defense systems and aerial military technology, according to a Russian delegate at the event. Egypt, Iraq and Syria have been Russia’s traditional customers in the Middle East, while Saudi Arabia has begun to show interest in Russian defense systems more recently. Russia has effectively fulfilled its side of the deal to supply Kuwait with infantry fighting vehicles, the deputy head of Russia’s state arms exporter Rosoboronexport said Thursday. “This year, we will complete the fulfillment of the contract to supply BMP-3M and BMP-3K infantry fighting vehicles to Kuwait. The last batch of the vehicles arrived in Kuwait in early November, which is currently undergoing the receipt process,” Sergey Goreslavsky told RIA Novosti. Without specifying the number of vehicles delivered to Kuwait under the deal, Goreslavsky emphasized that they had performed well in high temperatures, which in the Middle East can reach 50 degrees Celsius during the hottest months. Russia must sustain the momentum it has gained in broadening its military-technical cooperation across the Middle East, Sergey Goreslavsky, the deputy head of Russia’s state arms exporter Rosoboronexport, said at Gulf Defence & Aerospace expo in Kuwait City on Thursday. “Within the last few years, Russia has significantly expanded its military-technical cooperation with Middle Eastern countries. 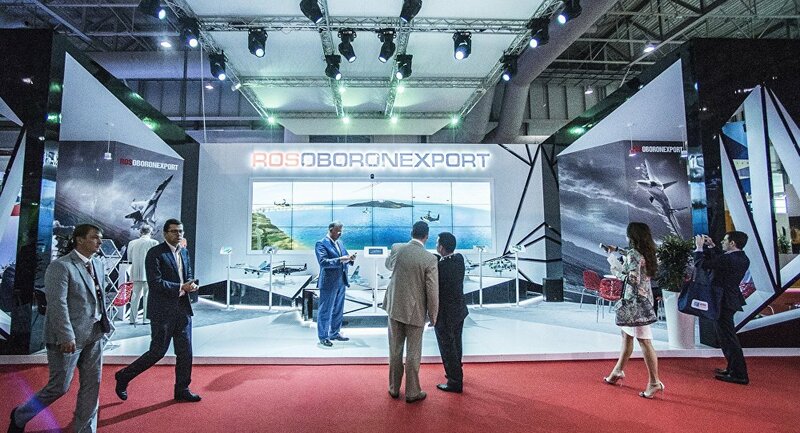 Our goal is to maintain the pace we have accomplished, and that is why we decided to take part in Gulf Defense & Aerospace,” Goreslavsky, who heads the joint delegation of Rosoboronexport and Russia’s state hi-tech corporation Rostec to the exhibition, told RIA Novosti. The Gulf Defense & Aerospace-2015 Exhibition and Conference, taking place between December 8-10, has great potential in terms of promoting Russian arms exports in the Middle East, Goreslavsky added. In November, many customers from the region showed interest in Russian air defense systems and aerial military technology at the Dubai Airshow in the United Arab Emirates, according to a Russian delegate at the event. Various Russian military equipment has recently seen combat action in the Middle Eastern region, including bomber aircraft, multirole planes and rocket launcher systems.